Macs are often considered to be ideal for creatives, favoured by designers, illustrators, photographers and the like. But what about video editing? Which Macs are powerful enough for that job? Apple has received some criticism in recent years for neglecting these very demanding users, but over the past few years the company has started to sell Macs that offer more power than ever before. These include MacBook Pros that can leave desktop machines in the dust, iMac Pros designed predominantly for professional creative users, and promise of a new Mac Pro that will launch in 2019. The Macs mentioned above have a high price, but there are less expensive options that may still be suitable for video editing, such as the 2018 Mac mini which comes with impressive specs in a reasonably priced package. With this in mind we've created this video editing buyers' guide. We take a look at what a computer requires to be truly great for video, and the features you'll pay more for. We then look closely at the range of Mac computers available, the custom Mac built-to-order options that are worth consideration, and the accessories, software and services available that make sense for keen movie-makers. We've got plenty of related advice, too, from our guide to the best free & cheap Mac video editing software to our overall Mac buying guide. And there may be some overlap between this article and our guide to the best Mac for designers. If you are a movie making novice, we have a complete guide to using iMovie on the Mac to edit video. Video editing is a challenge for any computer system and editing video professionally requires a high-end system. Of course, all Macs can edit video clips, but there's a difference between editing a quick clip for YouTube and making a whole movie. Digital video places huge demands on processor power, graphics power (for rendering) and - above all - storage space. Editing video, especially high-definition video, eats up hard drive space. And with 4K editing now part of life, this is only going to become more of an issue. Which Mac is best for video editing? We would generally say that the best Mac for professional video editors is the 27in iMac with Retina 5K Display. Here you get the 5K 27in Retina display, a fast processor, dedicated graphics card, and lots of other features that will be ideal for video editors. It was also updated in March 2019. If you need something more powerful you could look to the iMac Pro as a great option. If you need something portable then the MacBook Pro might suit you. And if you're looking for something that won't cost a fortune you could consider the 2018 Mac mini. We'll run though the best Macs for video editing in more detail below. The 27in iMac with Retina 5K Display may not have "Pro" in its name, but one look at its feature set and you quickly see this is no amateur Mac. 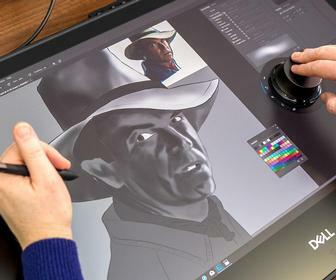 Following the March 2019 update, the base model (£1,749/$1,799) comes with an 8th-gen 3.0GHz 6-core i5 processor and an AMD Radeon Pro 570X with 4GB video memory. 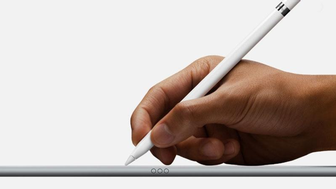 It comes with 8GB of RAM as standard, upgradeable to 32GB, and a 1TB Fusion drive. We'd budget for extra RAM if you're super-serious about your video editing. The top-end model starts out at £2,249/$2,299 and features a 9th-gen 3.7GHz 6-core i5, 8GB of RAM and a Radeon Pro 580X with 8GB of video memory. The Fusion drive is twice as capacious, at 2TB. Even without all those updates the 27in iMac is not cheap for consumers, but video editing professionals will find the prices attractive in comparison with other workstations out there. While it sounds a lot (and is), it's still cheaper than the base iMac Pro, which we will look at next, and its display is just as good. Let's talk a bit more about that display. Because the Retina Display is integrated into the iMac, it runs at 60MHz rather than the 30MHz found on most 4K monitors. The 5K size is, itself, perfect for video editing because it enables you to edit 4K video at full size and see the controls around it. Right now, the best video-editing Mac if you care about speed is the iMac Pro. Apple's high-class apology to its long-neglected pro customers comes with 8 cores as standard and can be specced up to a maximum of 18 if you're feeling fruity. RAM starts at 32GB and tops out at an astonishing 128GB. Storage is anywhere from 1TB (SSD) to 4TB, and the graphics card options are state-of-the-art: the Radeon Pro Vega 56 with 8GB HBM2 memory by default, or the Vega 64 with 16GB if you're prepared to pay an extra £540/$600. It's an outstandingly powerful piece of hardware, and when we tried out the 10-core model with 128GB of RAM it smashed every benchmarking test we tried (including around 37,000 in Geekbench 4's multicore segment, compared to around 17,500 for a high-powered i7 edition of the 2017 iMac). This won't let you down no matter how arduous the task, but you pay through the nose for the privilege. Like the iMac this model is due an update though, so we would tend to suggest waiting until later in 2019 before buying one. Without a doubt, the best-value Mac for video editing is the Mac mini. If the iMac and iMac Pro are too expensive you're going to have to start to look at Apple's consumer range. We're going to come right out and rule out the MacBook Air and 12in MacBook: these are great computers and you can definitely edit video on them, but they don't have enough storage space, screen size or processing power to be considered the best Mac for video editing. The Mac mini isn't a bad choice, though, especially since Apple finally updated the machine in 2018. The 2018 Mac mini starts at £799/$799 and offers a 3.6GHz Quad-Core processor, 128GB SSD, 8GB RAM (upgradable to 64GB). You can bump up the specs to include a 3.2GHz 6-core processor, 64GB RAM, and 2TB SSD - which will end up costing you £3,769. There's also a 10 Gigabit Ethernet option. The only thing that lets the Mac mini down is the lack of discrete graphics (it ships with the Intel UHD Graphics 630) but in that case we'd strongly advise you to purchase a separate eGPU such as the Blackmagic eGPU for £599/$699. Aside from the Intel graphics it's a great video-editing machine, and even with its slow graphics it'll still edit videos with ease. It's a good value choice for amateur or less demanding video editors looking for a capable but cheap machine. You'll need to find a monitor and mouse, but chances are you have them anyway. The best video-editing Mac for portability is the 15in MacBook Pro. The MacBook Pro was last updated in July 2018 (aside from the non-Touch Bar 13in models), the Pro offers powerful processor chipsets and, in the case of the 15in models, decent discrete graphics. It's a solid choice. We'd tend towards recommending the 15in over the 13in models due to the discrete graphics (Radeon Pro 555X or Radeon Pro 560X) but since the 2018 update the 13in models with Touch Bar are a lot more powerful than they were previously - and as with the Mac mini above, you could add a separate eGPU. The 15in models start at £2,349 and for that you'll get a 2.2GHz 6-core processor, 256GB SSD, 16GB RAM (up to 32GB available), and four Thunderbolt 3 (USB C) ports. Upgrade options include a 2.9GHz 6-core processor, Radeon Pro Vega 20 graphics, and 4TB SSD for a jaw-dropping £6,524/$7,049. Which Mac should you buy? That depends on whether you're a professional video editor hitting deadlines or an extremely enthusiastic amateur. If you're being paid to render by the hour then go for the iMac Pro: its greater speed will soon pay for itself. If you're just looking for a great Mac to render video then we'd go for the 27in iMac with Retina 5K Display. It offers the best combination of speed, storage, and value for money, not to mention a lovely large display to work on. The MacBook Pro with Retina display is a good video-editing machine, and the one to get if you need to edit video on the move. The Mac Pro hasn't been updated in five years and is not a product we would recommend at this time. However, Apple has promised to update this machine in 2019. If you can wait, this may be something to keep an eye on - it'll be the most powerful Mac of all, and may be easier to upgrade than other options. Probably the most important thing to get with your Mac for video editing will be more storage space - a good external hard drive with a fast Thunderbolt 3 (or USB C) connection will help you out. See our best best hard drive test for more advice. You'll also be wanting some video-editing software. We expect Final Cut Pro will be high on your list. But there's a wealth of other video software programs out there, including Avid Media Composer 6.5 and Adobe Premiere Pro (which is available as part of Adobe's Creative Cloud plan). Don't be blinded by Apple brand loyalty; Avid Media Composer is still the industry's go-to program for video editing, and Premiere Pro has many advantages over Final Cut Pro for rendering formats. Adobe has also introduced Premiere Pro Clip enabling people to edit video on the move.